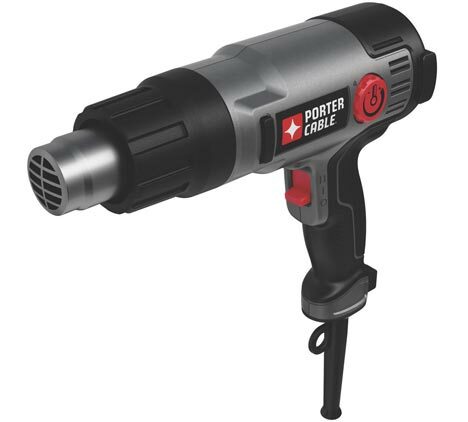 Tool Blog News More From Porter-Cable: Cordless Radio & Variable Heat Gun. 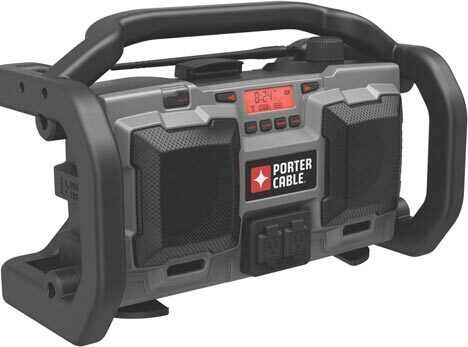 We all love music, and a great soundtrack can really set the mood of the day, so it is not surprising to learn that Porter-Cable has decided to come out with cordless radio of their own. Not that everybody uses them, but cordless radios are now pretty much a standard in any cordless line. The new PC18JR radio runs off of both 18-volt NiCd and Lithium-ion PC batteries for when you want to go free range. When you need your batteries for actual work, the radio saves the day with a 120-volt power cord. The PC18JR even has two 120-volt AC outlets, so you don't have to worry about taking up one of your precious outlets. Sorry, the radio will not charger your batteries. The radio keeps you digitally tuned in with 10 FM and 10 AM presets for your Favs, and good old Seek as a stand by. The backlit display keeps all your station information illuminated and a built-in clock will help prevent you from accidentally working overtime. For those of you that accept advancements in technology, a 3.5mm aux port will allow you to hook up your mp3 player or sat radio. The PC18JR wouldn't be any good if it couldn't withstand typical jobsite abuse. Thus is the reason behind a full roll cage and the use of premium weather resistant speakers. Porter-Cable is also bring us a brand new variable temperature and 2-speed fan heat gun. If you are lucky, a typical heat gun offers you a high and low heat setting, with 2 speed adjustments. The PC1500HG Heat Gun from Porter-Cable takes it a step further and gives you a variable temperature range of 120-1,250 degrees. One thing Porter-Cable forgot to mention in their press release is the ability to heat up your lunch, or keep your morning coffee warm. These are features you simply cannot pass up. The Heat Gun will be available this November at Lowe's at an MSRP of only $34.97. The Radio has an MSRP of $99.97 and will be available this October at Lowe's.